Tired of seeing granite countertops everywhere? Stainless steel countertops may be relatively new for home renovations, but that doesn’t make them any less suitable. If you are after a hard-working, virtually indestructible kitchen countertop that still looks modern, stainless steel is probably your best choice. As with every other kind of kitchen worktop, this one has its pros and cons, but unless cost is your main concern, a stainless countertop is a great contender against granite and quartz countertops. 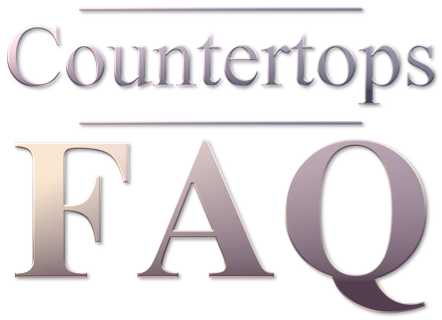 What Is A Stainless Steel Countertop Made Off? Stainless steel is a steel type that contains at least a 10.5% of chromium to make it impervious to rush and corrosion. Austenitic steel, or type 304, is known as food-grade stainless steel because it can be used in kitchens where you would put a hot pot straight on top of it. This is because it also contains a high level of nickel to increases stain and heat resistance. It is manufactured in a variety of thicknesses, known as gauges, usually ranging from 14 (commercial use) to 20 (extremely light residential usage). For example, a 14 gauge is 1.4mm thick and is used on commercial kitchens, whereas a 16-gauge is more suitable for residential installations. There are very few things that can seriously damage a stainless steel countertop, and you will most likely not have them in your kitchen. There is a reason why so many restaurant kitchens use this kind of surfaces: they are hygienic, chemical and heat resistant, they don’t stain and you can use much harsher cleaners than with granite or wood. If you are worried about bacteria and molud taking hold of your kitchen, you will feel safe with steel countertops: microorganisms don’t stand a chance against a cold, non-porous steel surface. Stainless steel countertops are also heat resistant and won’t crack if you put a hot pot on top. This kind of surface is also pretty much stain free so you won’t need to worry about wine or juice spills. Just wipe it with a cloth whenever is dirty. However, these worktops show dirt easily, and you will be forever wiping off fingerprints and crumbs if you are the kind of person who prefer an immaculate look. Another thing to keep in mind when considering steel worktops is that scratches and possibly the occasional dent will happen sooner or later through wear and tear. Stainless steel scratches relatively easy, so eventually you will need to get to terms with the fact that a pristine, high-gloss stainless countertop is a thing of the past. However, scratches are actually a good thing as the scratches will create a patina and give your worktop a used-but-still-awesome look that you can’t get from a factory. Imagine a pair of jeans that have been used for a while, still look great but they are no longer totally uniform. However, if this bothers you then quartz may be more forgiving. Or if the scratches are superficial you can re-polish stainless steel countertops yourself or by hiring a professional to reverse the damage. You can dent a steel countertop if you are careless and drop something heavy on it. However, if your countertop was installed by a professional over hardwood and it’s not terribly thin, this is not likely to happen. If you are going for DIY stainless steel countertops, keep in mind that the hardness of the wood surface under it is what prevents the relatively thin sheet of metal from bending or denting. So it’s worth investing in a good supporting frame to protect your steel top. The gauge defines the thickness of the stainless steel sheet, so when comparing prices for countertops you must avoid thin, higher gauges that may make the surface prone to denting. Residential countertops are usually fine with a 16 gauge sheet, but you may go for a 14 gauge one if you really intend to give it really heavy usage. Stainless steel worktops are generally mid-range in terms of cost. They are 3 or 4 times more expensive than laminate, however they will last forever with proper care. When comparing with natural stone countertops, they are cheaper than quartz, granite and marble, and further savings can be achieved as you can actually install them yourself. Compared with solid surface countertops the price is similar, but depends a lot on the quality you are after. Stainless steel countertops are usually custom made to measure, and that means you can install them in about any kind of kitchen area you can think of. The steel sheet can be folded to create a backsplash as well, giving a practical but edgy look. They are also available in a variety of finishes, so you can get different quotes depending on your exact requirements and how you intend your kitchen to look like. Expect to pay between 75 and 150 dollars per square feet, but you can get better pricing if you look around and compare quotes. If your kitchen has very standard sized worktops you may be able to get a bargain in the form of pre-made restaurant stainless steel counters from restaurant supply companies. There are a couple of things that are unrelated to the performance of a stainless steel countertop, but have everything to do with your decision of installing it in your home: looks and noise. It’s a fact, stainless steel can look a bit industrial and even medical, as it’s usually used in contexts such as hospitals and restaurant kitchens. You can totally offset this with your choice of cabinets and accessories, so using stainless steel doesn’t mean your kitchen must look cold. However, it will be much more difficult to achieve a rustic look than say, with wooden worktops. Granite and quartz are more versatile, as you can choose different colours and patterns. The other slightly annoying thing about stainless steel is that it will make noises. Expect a few jumps when a loud clonk signals that somebody just put a pot on the counter in a hurry. Noise doesn’t mean you have a dent or damaged the worktop, but if you live in a flat with small walls or are really bothered about noises then solid surface or laminate worktops will be a better options as they are much quieter. Are stainless steel countertops the ideal work surface for you? If you are a serious cook who likes the kitchen to look immaculate and be practical, stainless steel should be a serious contender. But if you are scared of creating an aesthetically cold look, you may be better off looking at other materials instead.